Solange started working at D&H in 2011. Prior to D&H, Solange worked at The Bluffs in the Alzheimer’s unit as a CNA. She was born in the Dominican Republic and moved here when she was 8. She went to school here in Columbia from grade school through high school: Shepard Boulevard, Lange, Oakland, graduating from Hickman. She went on to college and graduated from the University of Missouri with an interdisciplinary degree, majoring in Health and Human Development, Psychology and Sociology and International Studies. Solange has always worked in Columbia. In addition to the Bluffs, Solange has worked as a waitress at George’s and also as an office manager for Dr. Myriam Ensling's Internal Medicine and Obesity Clinic for 5 years. In her free time she enjoys camping and hiking. She also loves watching movies and trying new food. Her parents, Yolanda and Jerry also reside in the area and she has an adorable dog named Bella. Solange likes the wide range of services that D&H provides to customers. 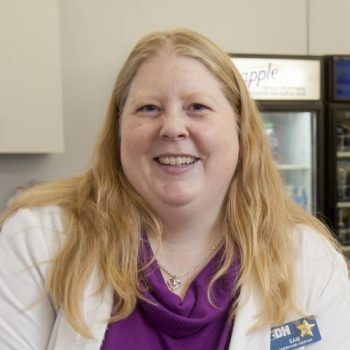 From filling scripts to medical equipment, providing diabetic shoes or ostomy supplies, she feels like we can help people from so many different perspectives. She also likes the people she works with and getting to know them. 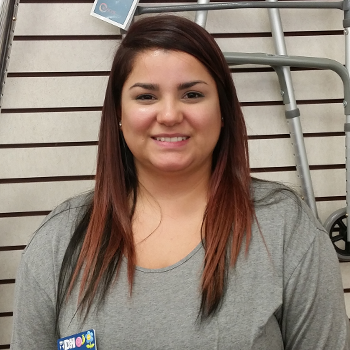 Samantha, or Sam, for short, is a Home Medical Equipment Assistant at our D&H Broadway location. She was born in Columbia, but currently resides in Montgomery County, where she helps tend to the Polled Hereford cattle on her family's farm. Sam is a University of Missouri – School of Music alumna, where she studied Vocal Performance. While at university, Sam performed with the University Singers, Concert Chorale, Choral Union, and Show-Me Opera where she was cast in the World Premiere of Corps of Discovery. She currently serves as the Soprano Section Leader and as a soloist at Missouri United Methodist Church here in downtown Columbia. She also teaches private voice lessons and sings for special occasions.